With more than 20 years of Research and Development in intelligent lighting technology, we are the leading global supplier of intelligent lighting systems for Guiding People. eLea Activity Sensing is a wireless system, which easily can be installed without making major renovation or changes to the private home. 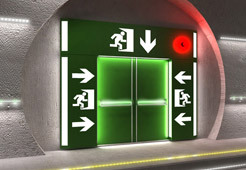 The fall detector can inform a relative of a fall, and the solution make it possible for the end customer to modify or upgrade the system with any of the eLea Accessories. 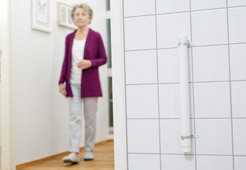 eLea Activity Sensing can also be installed in existing elderly care homes where any major renovations are not schedueled. 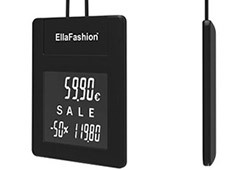 MariElla Labels offer electronic pricing solutions for retail stores as well as fashion stores. Light weight, energy efficient, and good-looking without attracting unwanted attention it is the best solution for many stores. EllaFashion Solution is an attractive choice for most different environments; from an exclusive boutique to outlets and anything in between. With the highest IP rating (Stripe and Panels are IP68 - waterproof and dustproof), the MILS® system help guiding people on a daily basis or in emergency situations. The MILS® system is suited to all business sectors, such as marine, buildings, land transportation segments, mines, manufacturing plants, warehouses and shopping and sport complexes etc.